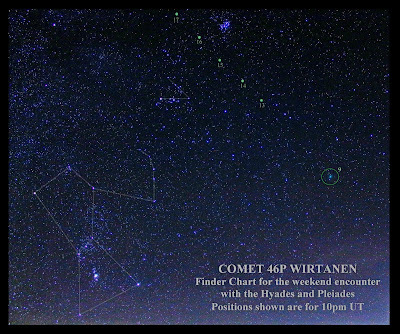 Comet 46P/Wirtanen, the brightest comet of 2018, puts on a good show in winter skies this month. It is well placed for viewing through most of the night. It should be visible to the naked eye in reasonably dark skies and with even small binoculars or a telescope in even light polluted skies. Below is a finder chart showing the stars and constellations of winter from December 13-17. 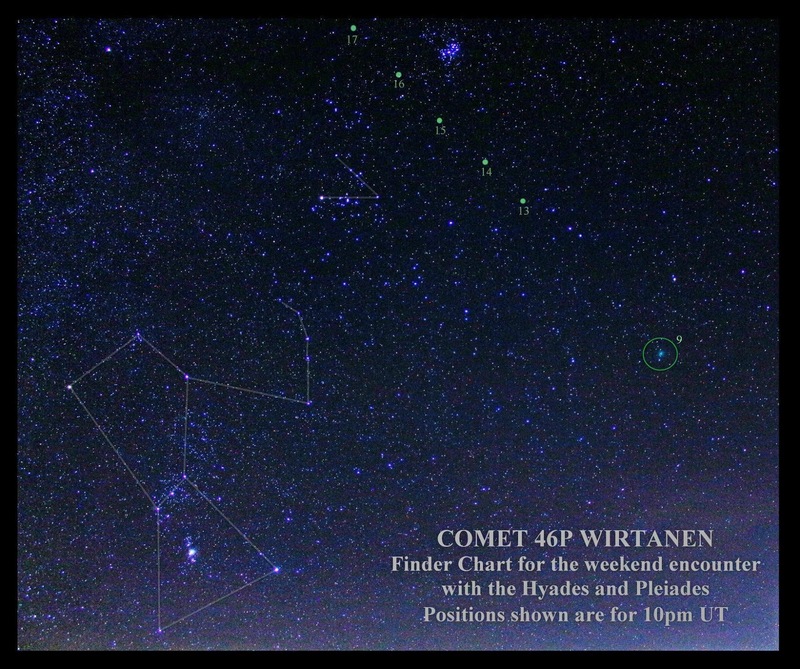 Comet 46P/Wirtanen finder chart for December 9-17. The comet is about 4th magnitude and slowly moves through the sky between the Hyades star cluster and the Perseids star cluster December 14-17. It is brightest on December 16, the night before its closest approach to Earth. December 13 is the peak of the Geminids meteor shower, so the sky should also be putting on a good display of meteors for your enjoyment. 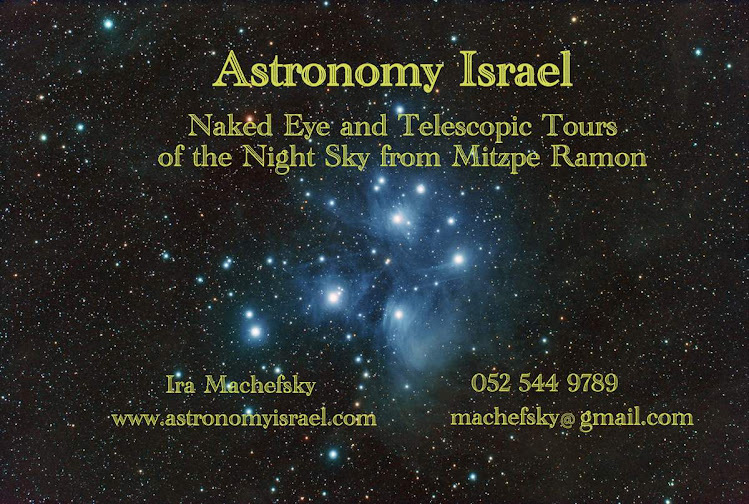 Astronomy Israel will be having its usual star tours in Mitzpe Ramon Sunday-Thursday and some Saturday nights throughout the month of December and beyond. 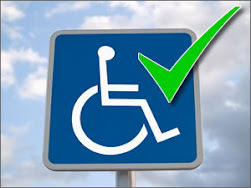 Sign up by clicking a "Book Now" button.